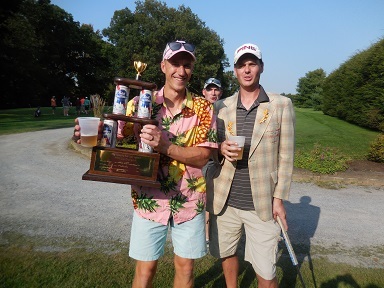 The Friday Night Scramble : Check in varies depending on season, generally by 5:15pm (earlier in spring) teams picked, A player on each team, shotgun start to follow. Open to the public, 9 holes w/cart special price of $22 + you contribute $10 to prize fund. Draws a huge crowd , A players are captains and the rest of the teams are picked from a hat in front of everyone. You are not committed to every week but many come every week. They pay skins & winning teams 1st, 2nd places and so on depending on number of players. You may also enter Closest to the Pin Contest for $1 each. Open to Men & Women. It makes for a fun Friday night! Sunday Afternoon Mixed Leaque They Tee Off 4:00 - 4:24pm Format to be determined. May collect dues. Special league price of $23 for 9 holes with golf cart rental. Weekly competitions are offered to enter. Some additional costs for the tournament may be necessary. Contact Earl for more information at c 518- 330-4261 or click here to email. Monday/Wednesday AM Group - Gathering of men and women golfers under the tent after pro Shop check in by 8:30 am, Tee Times 9am -early spring 10am, You may play 9 Holes or 18 Holes, Group is Handicap driven, Teams picked using a deck of cards & handicaps. high/low are teams of two, twosomes play against each other in the foursomes, as do high Handicaps & lo handicaps overall, Front 9 Back 9 prize kitty, you are not committed to every week, Contact Chuck click here to email. Prime Time League openings for the upcoming season available. Start a new leaque or move your leaque to Airway Meadows . 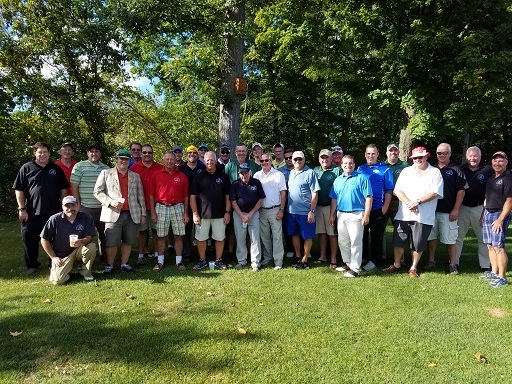 Special incentives offered for Lake George, Glens Falls or Saratoga Springs golf leagues . Call Pro shop for more information. It is relatively easy for the general public to get on the course in the late afternoon even with our leagues. Each year a League Championship is held in September. Each league, there are 12, enters four golfers. Ideally two league members play in a foursome with two members of an opposing league. Each golfer plays his or her own ball. The combined score of all four of the same league are checked dropping the highest score. Ends up being three scores added together determines the winner. Low Gross and Low Net. It's a fun day. 2017 Winners were Low Gross I'll Take a 5. 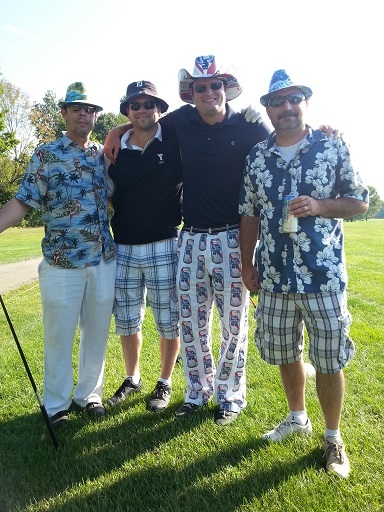 Low Net Sunday Swingers.. See Tournament Results for more details.